Drop dead stylish, VIE hotel features a handful of rooms, and a separate building made especially for entertainment which includes a club, cigar bar, swimming pool, and more. 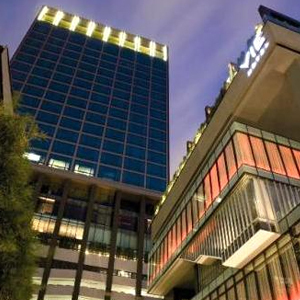 The hotel is a short walk from Ratchathewi BTS station, and in close proximity to Bangkok's shopping district. From Ratchathewi BTS Station, VIE Hotel can be seen from the station platform.